Hi beauties, I hope you are all well. 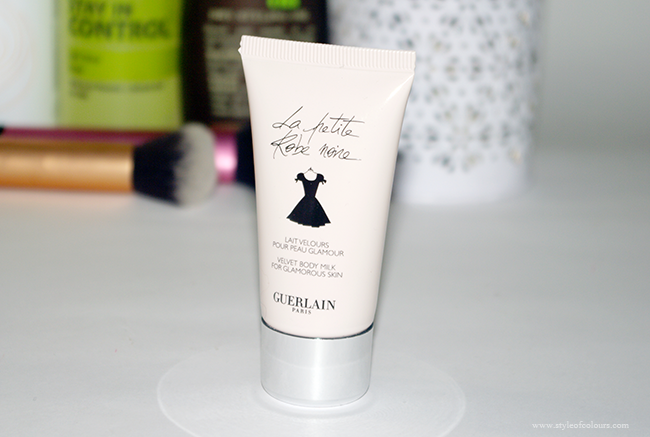 Today I am reviewing a body milk which is the Guerlain La Petite Robe Noire. During winter months I am always using body creams and hand creams as my skin tends to get really dry. So a while back, one of my bbfs Luchessa of Beauty Expression by Luchessa sent me a New Years package which contained this body milk. I got the product in a 30ml tube with a twist cover. I think the size is perfect for travelling. The products itself is a white cream which smells absolutely heavenly. First time I put it on, it was like I had already used an amazing perfume on myself and it lasted for quite a while. After applying the product, my skin felt really smooth and soft. 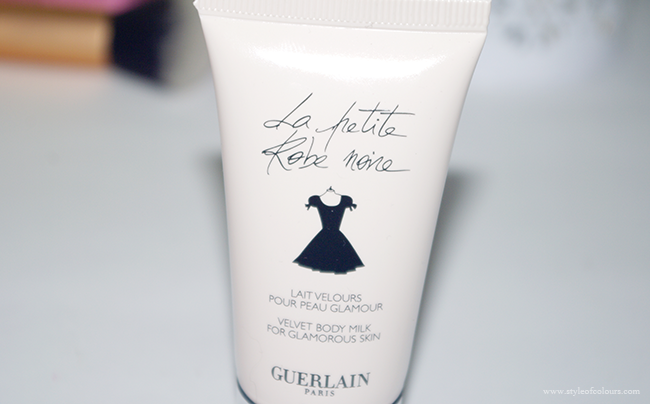 I guess they don't call it Velvet Body Milk For Glamourous Skin for nothing. It was so amazing that I am in love with this product. I think it will also be great for summer months to put on after a swim or when travelling for a short period of time if you don't want to take along a lot of bottles with you, you could take your deodorant and this body milk which will work a 2 in 1 function by moisturizing your skin and giving you an amazing smell. Likes - Smooth hydrated skin and amazing smell. Available - Escentual, Sephora, House of Fraser. I'm so happy to reaad that you liked the product. It's true - it smells really lovely & does a great job by giving your skin a smooth finish. The excellent stuff about such applications are that they do not provide you the celestial satellite and create incorrect statements. They truly response all your concerns about fat reduction and how you should go about it. For How To Get Rid Of Cellulite example you would want to know what should be there in your foods when it comes to fat reduction. These applications response such particular concerns and more.